Once upon a time I had the world’s greatest cleaning lady. She cleaned my house in 4 hours, with my 4-yr.-old “helping” and my baby hanging on her leg. When he got tired of hanging, she’d bounce him on her hip with one hand and wash the dishes with the other. And did I mention she was charming and spoke perfect English? She left three weeks ago. We all cried. Especially me. But here’s the good news. I haven’t replaced her yet (not that I really ever could, if I tried), and my house is still pretty clean. And I’m still pretty sane. I decided we’d save a bit of cash (read: tuition letters came in the mail) and put the kids to work in a grand summer experiment. 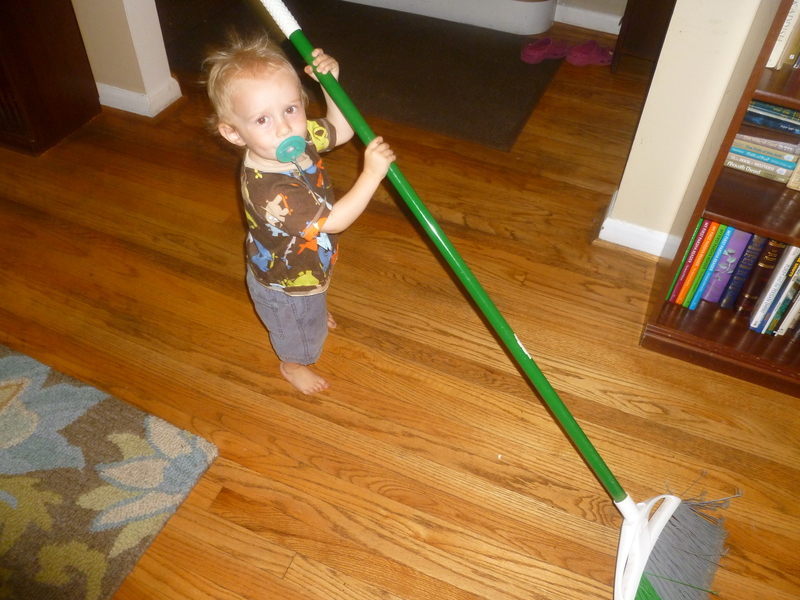 I’m paying $5 a week to anyone who helps clean the house for Shabbos. So far everyone has done their fair share. They’re young enough that $5 is enough to motivate but old enough that they actually are capable of cleaning. 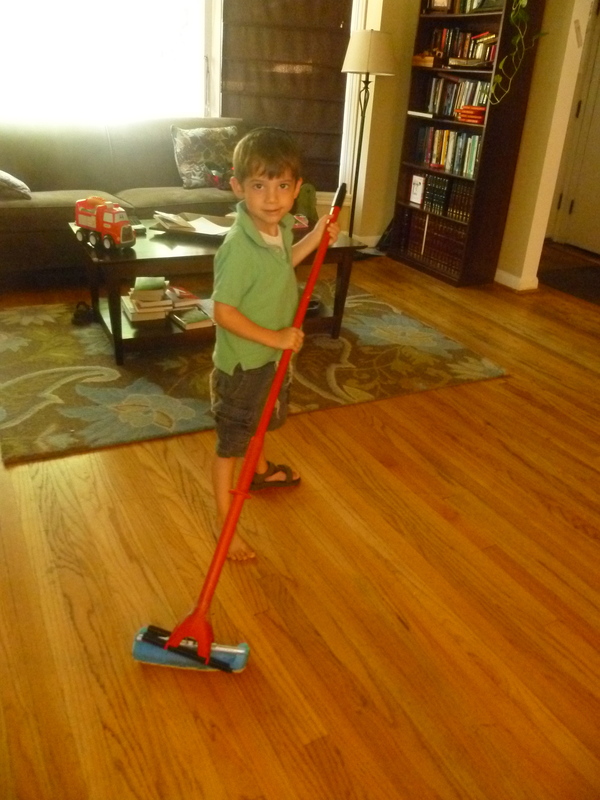 My 5-yr.-old mopped the ENTIRE house this week. I kid you not. I’m not foolish enough to think my cleaning crew will keep scrubbing once the long school days and homework begin. But for now, I’m enjoying seeing them take more responsibility for our home. And I’m enjoying the extra cash in my wallet. I’m welcoming any and all suggestions for a cleaning lady in the fall!